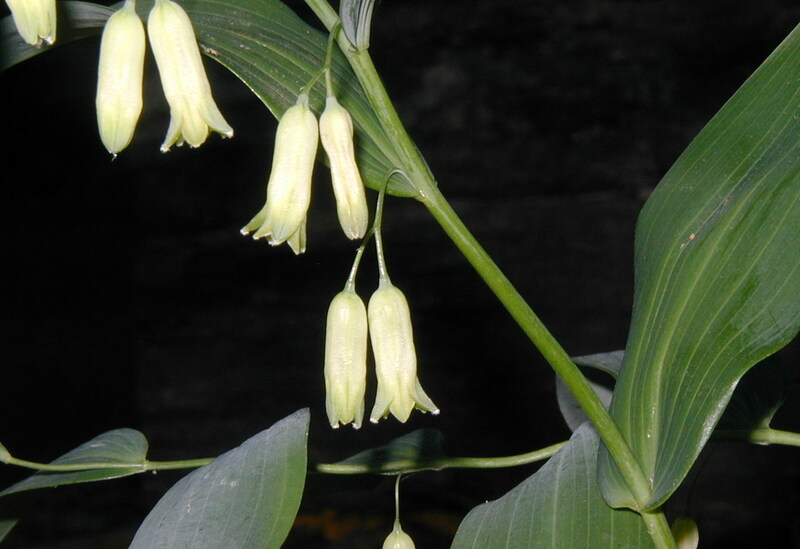 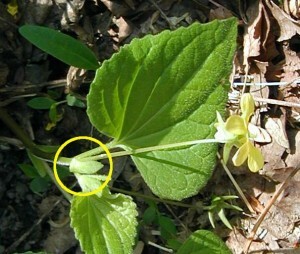 One of the Spring woodland flowers that is quite common is the yellow-flowering Dogtooth Violet, Erythronium americanum. 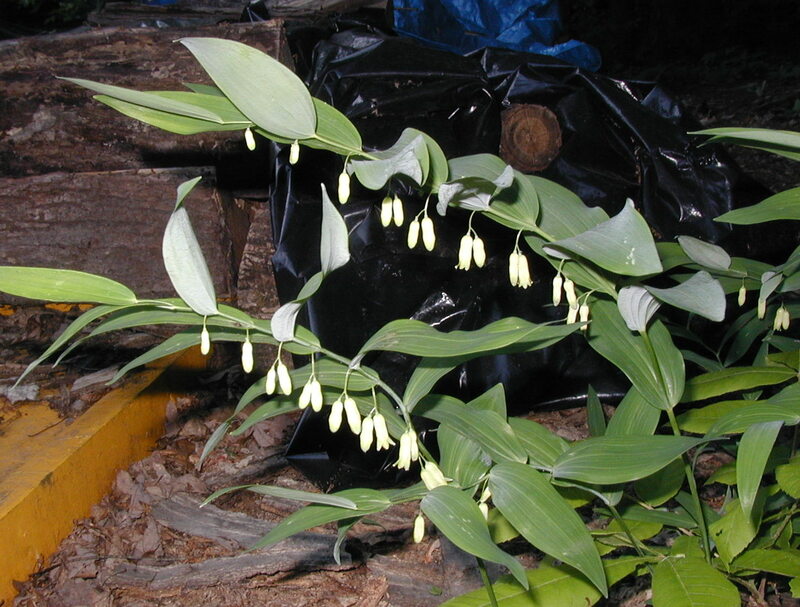 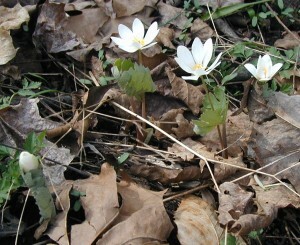 It’s also called the Trout Lily because it blooms in early Spring when the trout are spawning. 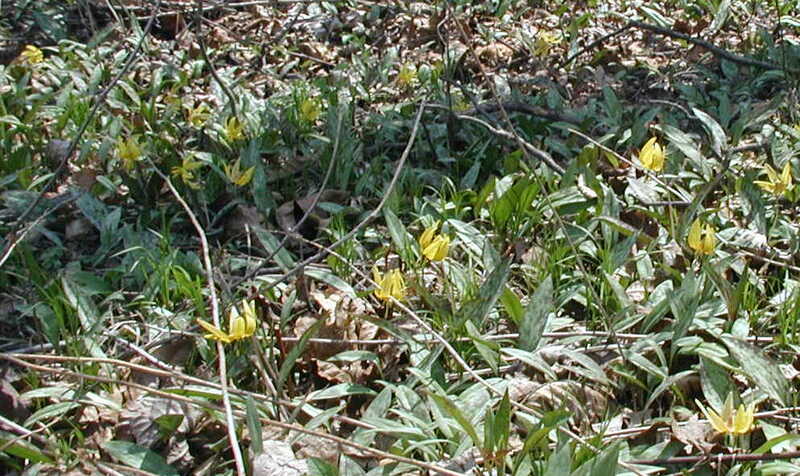 The dogtooth violet has six long, narrow petals that are bright yellow on the inside with streaks of red to brown on the under or back side. 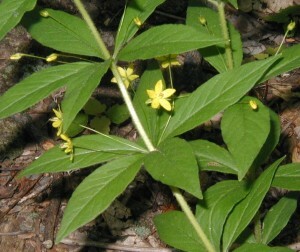 The petals are swept back or reflexed which makes the yellow stamens stand out. 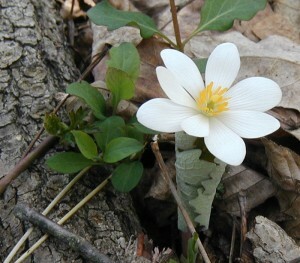 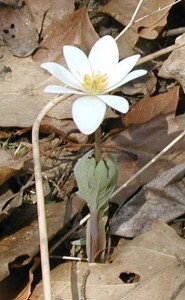 A single flower rises up on a short flower stalk about 4-8 inches. 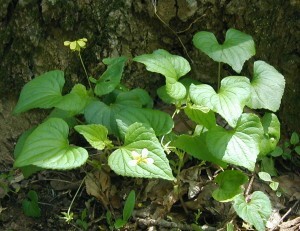 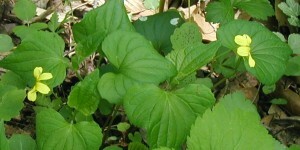 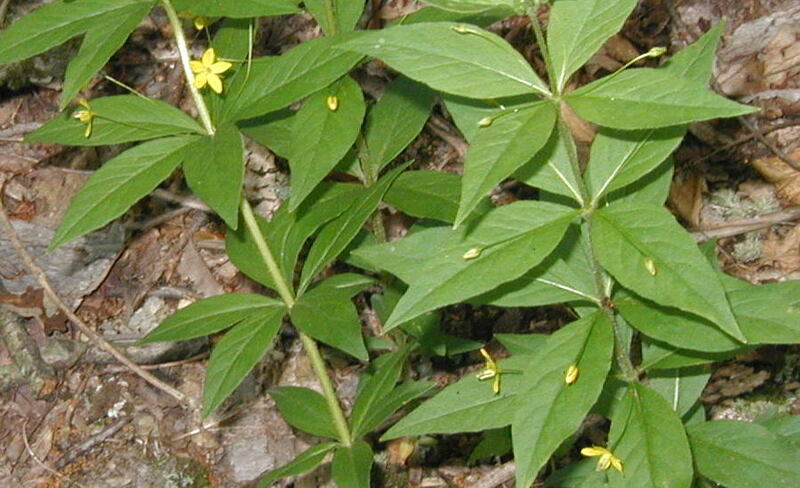 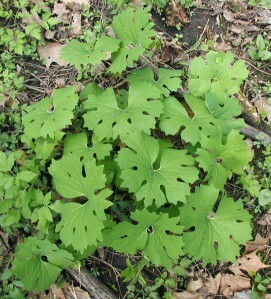 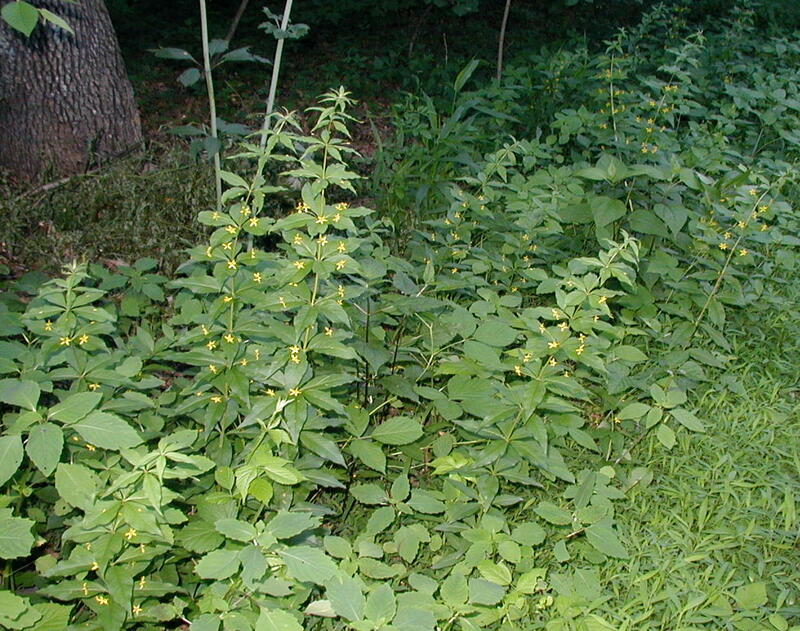 Foliage consists of one or two sword-shaped basal leaves. 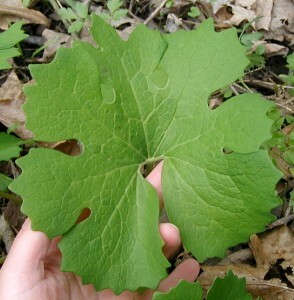 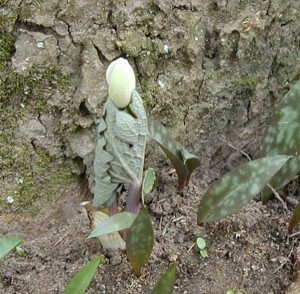 Leaves are thick, noticeably variegated, and entire, having a smooth margin. 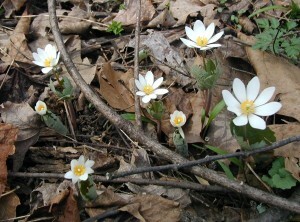 Photos taken 26 April 2011. 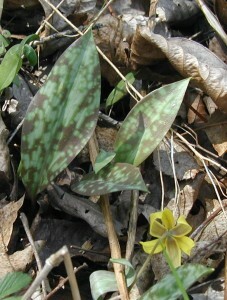 Mottled leaves and swept back petals of the Dogtooth Violet. 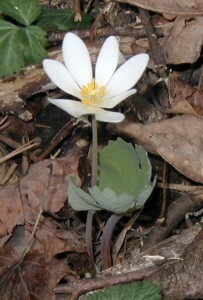 The trout lily is often seen near streams and other wet, woodland areas. Look for it in areas where the Skunk Cabbage grows. Trout Lilies can often be found near Skunk Cabbage in wetland areas. 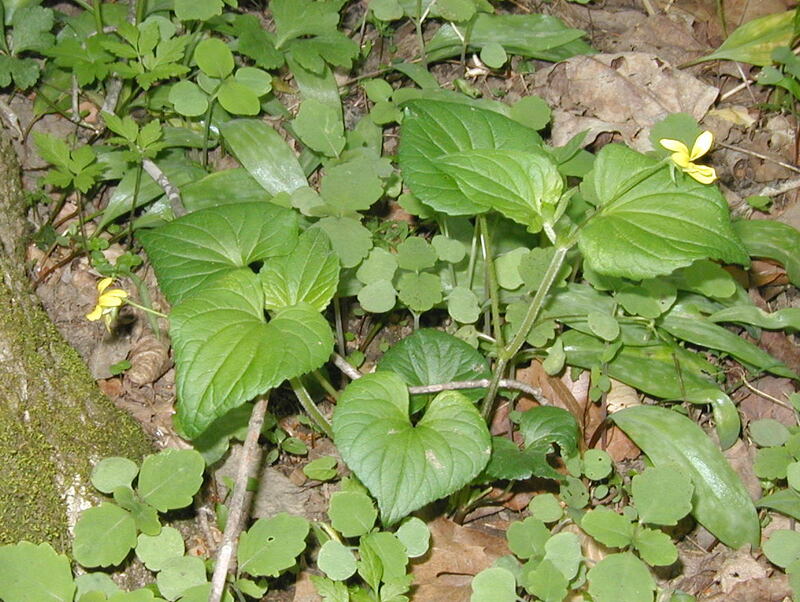 Trout lilies will often be found in massive quantities. 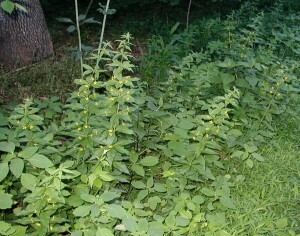 Along a back road in central Pennsylvania a large group was spyed among brush in a swampy area near a creek. 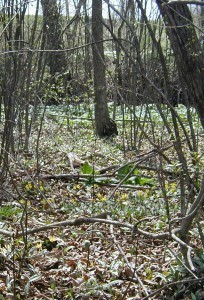 Wetland habitat of trout lily. 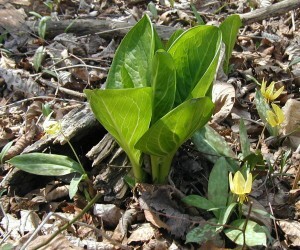 Trout lily in foreground and center of image with skunk cabbage. The taller greenery in the background is Mayapple. 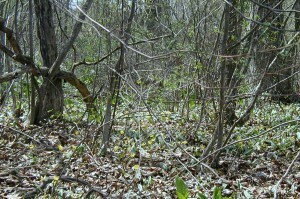 This area is lowland as noted by the rising hill in the background. 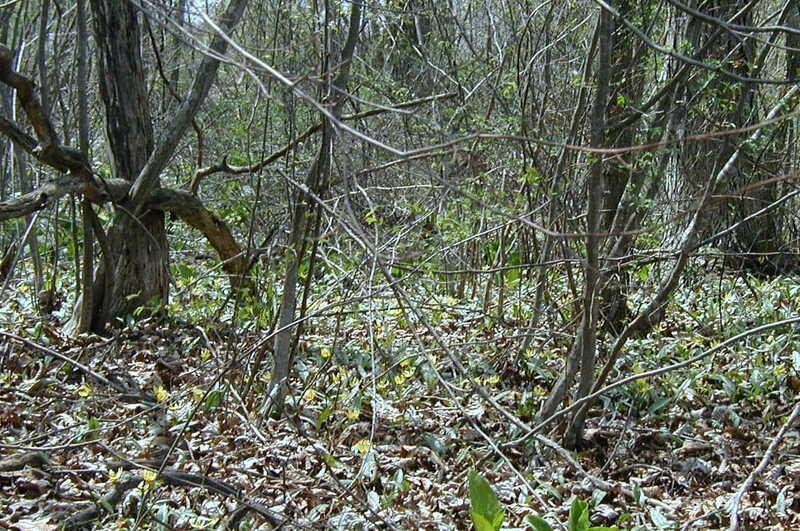 This could have been a beautiful display if the overgrown brush was removed. 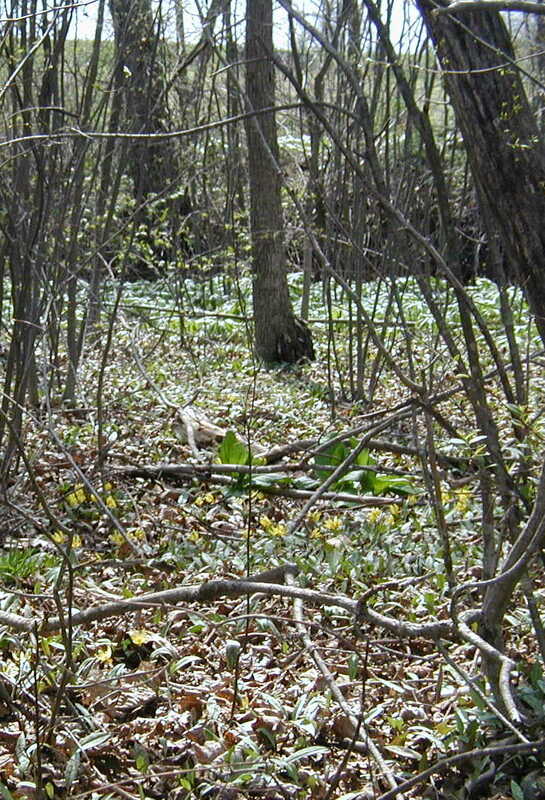 There were several lilies per square meter. 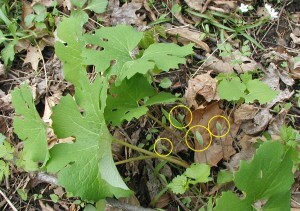 Many trout lilies growing in the same habitat. 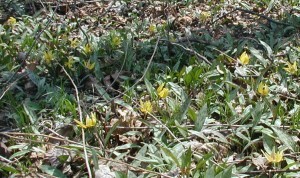 Mass of Trout Lily in Juniata County, PA - at least 50 lilies in bloom. Like other Spring ephemerals this massive display of our native trout lily in bloom would probably hide on a cloudy day. 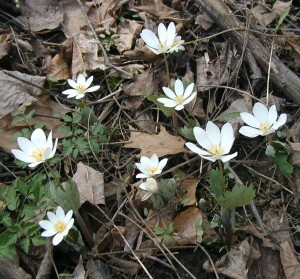 We noticed the wetland flowers by the glint of their bright yellow flowers open in the sunshine.